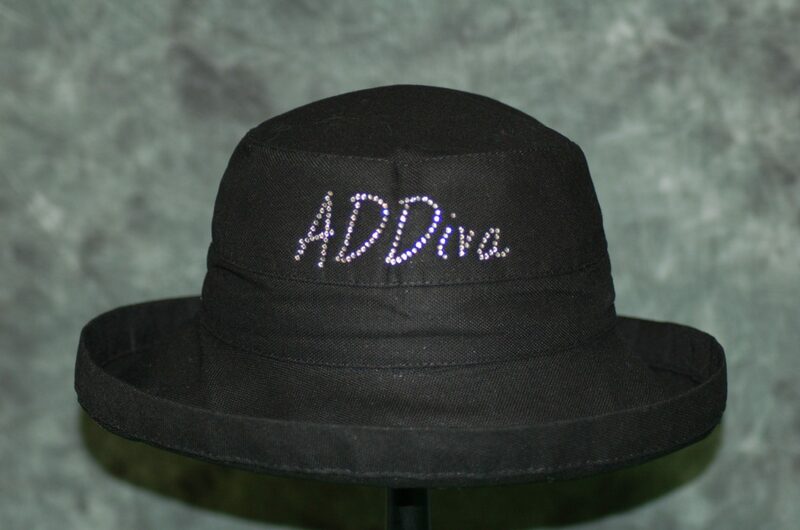 ADDiva Black and rhinestone 2.5 inch brim hat. 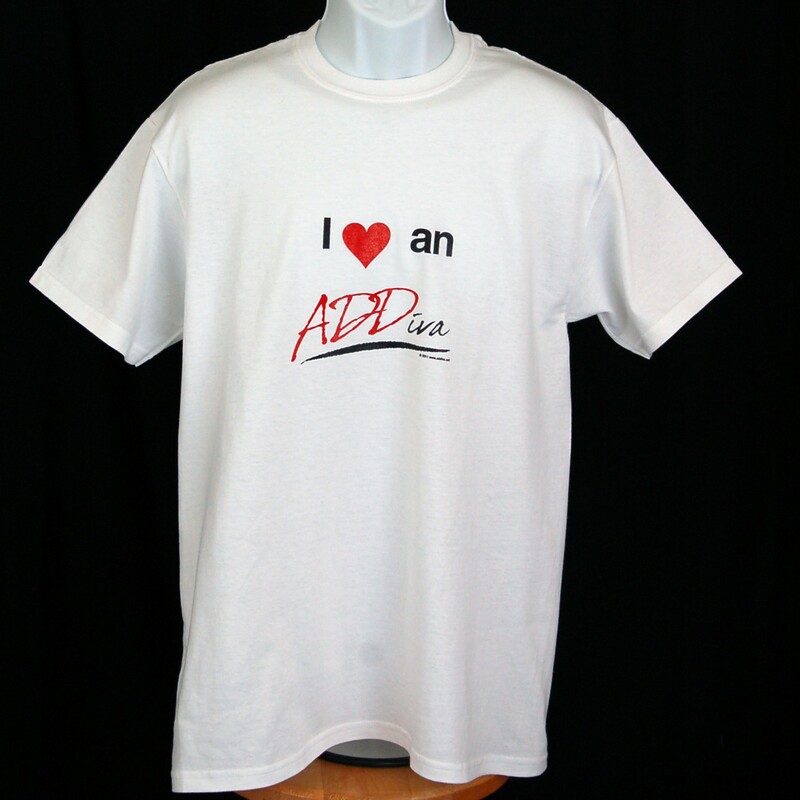 No ADDiva is complete without her hat! 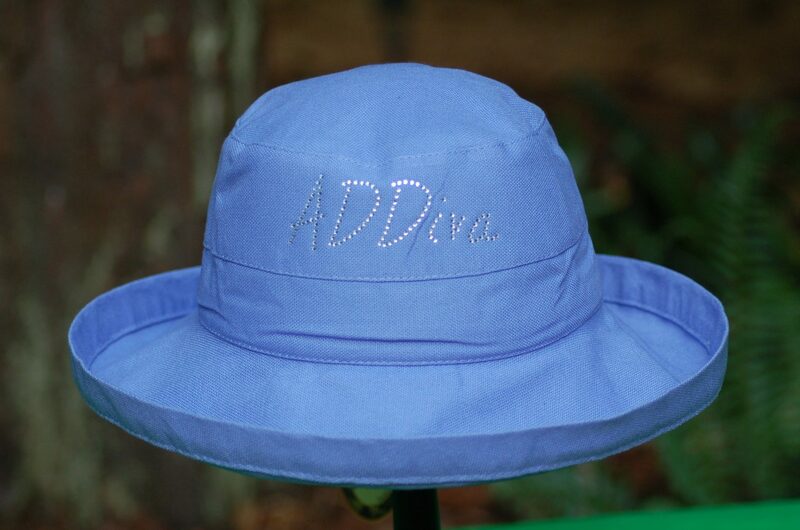 These fabulous hats say “ADDiva” loud and proud, in sparkly rhinestones right across the front. 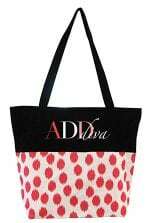 They come in three colors, with a wide brim to shade you from the sun (or flip it back for even more whimsy!). 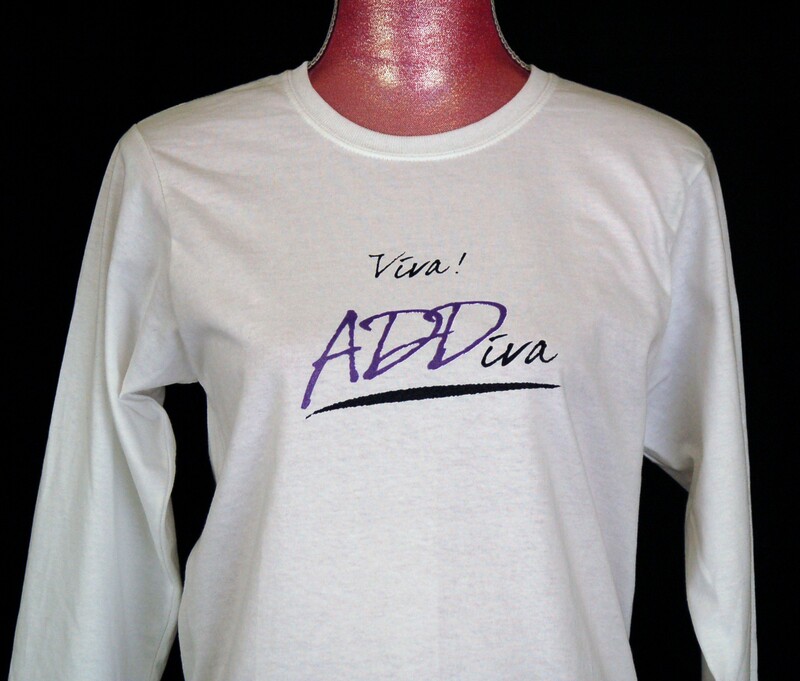 Available in Black, Periwinkle, and Rose.